Watch a Flick at the Baxter Avenue Theater | Joe Hayden Real Estate Team - Your Louisville Real Estate Experts! Go to the Baxter Avenue Theaters for a unique movie-watching experience that you can't find anywhere in Louisville. It's one of the only theaters in Kentucky with the Dolby System, and it uses a special projector ordinarily used in giant auditoriums. This creates high-quality 3D imaging, and you know that's what you want to see when you go to the movies. The Baxter Avenue Theater is a well-known hotspot in Louisville because it's in one of the trendiest neighborhoods: the Highlands. That's why you can find all sorts of different movies here, from the big blockbusters to independent films to foreign movies. 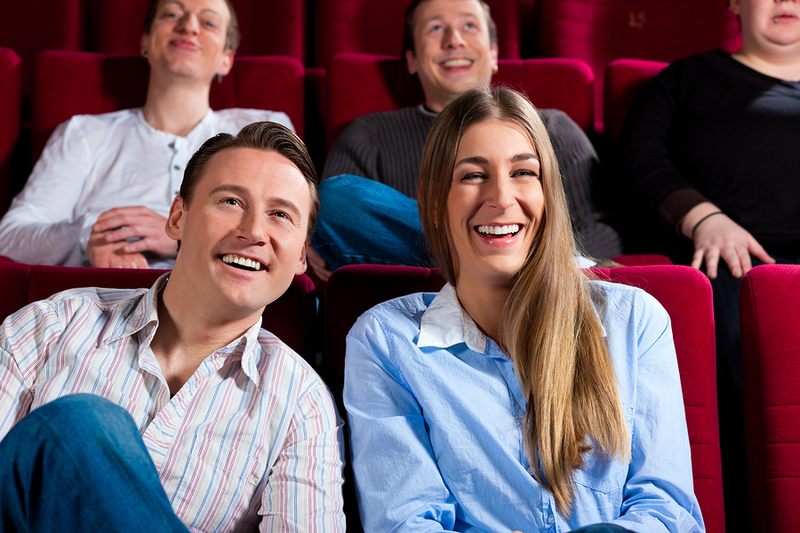 Matinee shows before 6pm cost $6.75, $8.75 for 3D digital showings. In the evenings, tickets cost $9 for regular screenings and $11 for the 3D experience. Discounts are available for seniors, children, students and military personnel. You'll find the theater behind Mid City Mall, at 1250 Bardstown Road, just a few blocks away from the famous Highlands neighborhood. Locals and visitors alike visit the Highlands to do everything from grab a cup of coffee, see original art, eat local food and simply people-watch. The Highlands is home to "Restaurant Row," a stretch of Bardstown Road so mouth-watering you'll be tempted to stop and eat every time you walk by. There's lots of life and activity all along Bardstown Road in the Highlands, because there's so much to do. You can find shopping, unique galleries, amazing eateries and just about everything else in this part of the city. Some people forget that you can also find some of the city's most amazing real estate, too. There are many gorgeous homes in the Highlands. Off Bardstown Road, the streets are a bit quieter. You'll see less foot traffic and more shade trees. They're guarding historic buildings, gorgeous architecture and several different styles of housing. You really can find everything in the Highlands, and that includes your dream home.